 BAÇ Engineering has been established within the Teknogirişim Studio in ITU Ayazaga Campus in 2012 with Ministry of Industry’s Teknogirişim Capital Support. Within our first year, we have completed the Ministry of Industry’s project successfully and started to work on robotic projects in the industry. In 2013, the company’s KOSGEB’s R&D Innovation Project has been accepted and the premises were moved to ITU KOSGEB Technology Advancement Center. After completing several robotic and testing device system projects successfully within the industry, in 2015, we have started working in biotechnology area and completed our first nucleic acid isolation robot. Currently, the company continues to work in the biotechnology automation area. As BAÇ Engineering, we believe that R&D and products that require R&D play an important role in the development of the industry. With this thought in mind, we provide R&D support in robotics and control areas, as well as providing engineering solutions to companies for their projects. As BAÇ Engineering, we wish to be an international corporation that provides services in robotics and control areas. Turkish Ministry of Industry’s Teknogirişim Funding Project has been completed. Our “Industrial 3 Degrees of Freedom Robot” project deal is signed. Our KOSGEB R&D Innovation Support Program project has been approved. NI Alliance Partnership deal has been signed. The washing machine drum lifetime testing device we have produced for VESTEL has been engaged. Our Stewart platform project has been completed. Our first nucleic acid isolation robot has been completed. Our telemetric strain gage measuring system project that we have developed for Maxion Jantaş has been completed.